This was my Christmas present. 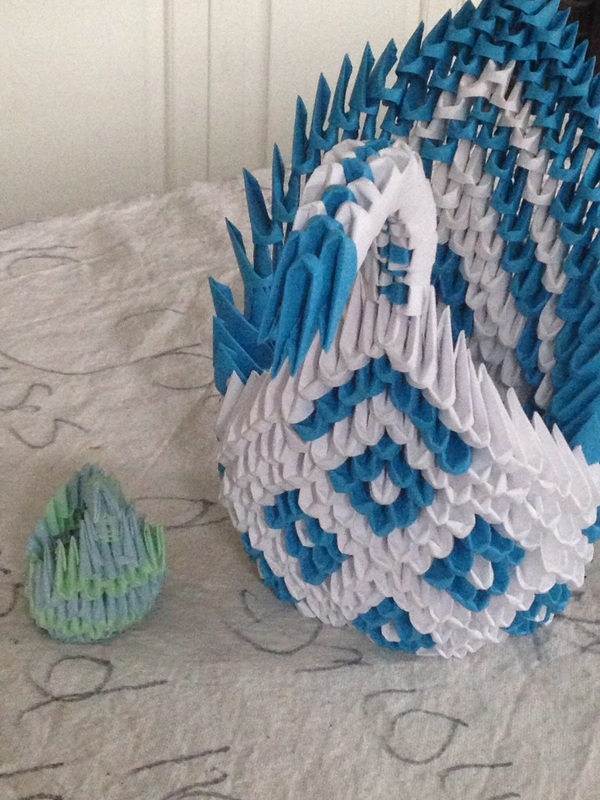 The origami-maker had put the paper, and its folds away for quite some time — several months. 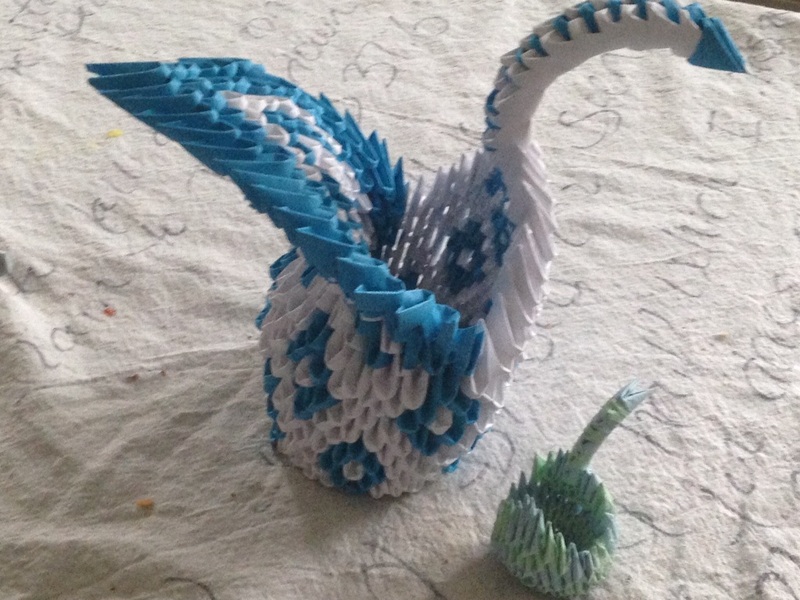 But somehow, the idea of making a 3-d origami swan took hold of him, and he couldn’t help himself. So, he took it upon himself to cut regular typing paper, in the appropriate blue and white colors, into miniature squares. 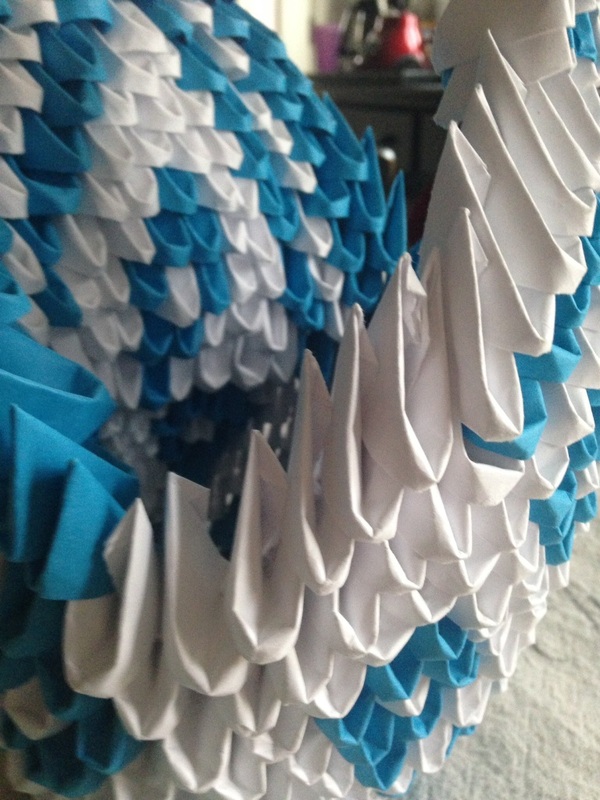 And then proceeded to fold each one into 3-d origami triangles. Five hundred sixty two of them. 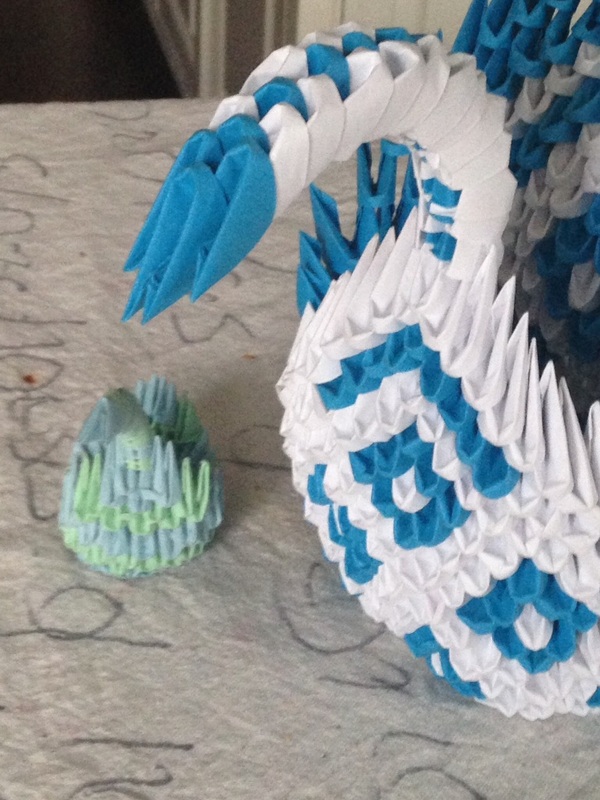 He’s moving onto a “dragon” but that will require nearly 1500 3-d origami pieces. But he’s taking a break for Christmas. You do realise that this is extraordinary, don’t you?